SHARK EXORCIST Is Coming To DVD - Trailer Is Within! What happens when you blend JAWS with THE EXORCIST? You get SHARK EXORCIST of course. Director Donald Farmer recently celebrated the summer release of his latest independent effort and from the looks of the trailer, it appears to be a lot of fun. Head on down below to have a look. SHARK EXORCIST stars Angela Kerecz, Roni Jonah, Alaine Huntington, and Bobby Kerecz. 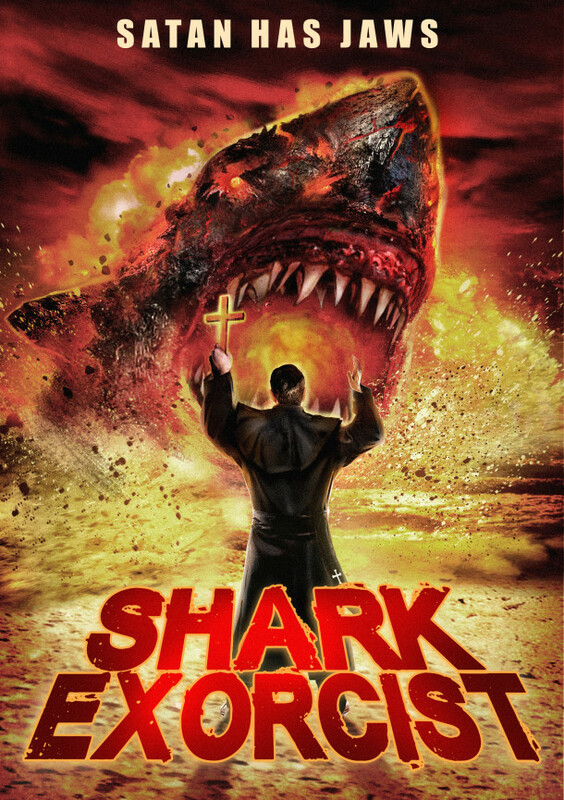 "A demonic nun unleashes holy hell in SHARK EXORCIST when she summons the devil to possess a man-eating shark. Now innocent swimmers are terrorized by the ultimate evil—Satan’s shark!!" SHARK EXORCIST is now available on DVD.